Music lovers and audiophiles like FLAC because it is a lossless format and thus deliver awesome sound quality. However, FLAC is not very widely supported software and hardware wise. For example, you can’t play FLAC files in iTunes. Luckily, you can convert FLAC to WAV or other more widely compatible audio formats without losing quality. In this how-to guide, you will find the best ways to convert your FLAC files to WAV format. Enjoy the music you love on any of your devices in high quality. When it comes to converting between audio or video formats, it’s always recommended to use professional software programs because they can provide high quality conversion and fast speed. There are quite a few Mac and Windows PC software apps that can convert FLAC to other formats including WAV. Some of them are easy and efficient to use, and some are not. 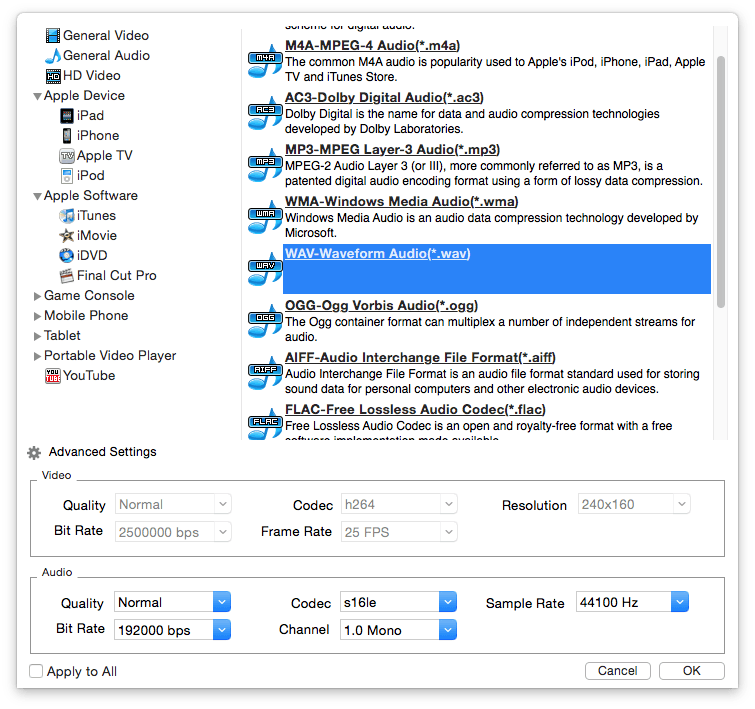 In this part, I will share with you the best FLAC to WAV converters to use on Mac and Windows. enable users to edit videos by adding watermark, effects and subtitles, trimming, cropping, merging, etc. The following instructions will show you how to use this app to convert FLAC to WAV on Mac. You can use the same steps to convert FLAC files to other formats apart from WAV or to convert WAV to FLAC and other formats. 1. Download iFunia Video Converter and install it on your Mac. 2. Import the FLAC file you want to convert by dragging and dropping. Alternatively, you can also add file by clicking the media icon in the upper right corner of the interface. You can add multiple files at a time, and this tool allows you to batch convert FLAC to WAV format. 3. Click the blue RVC icon to open the output format window. Click General Audio, find the WAV-Waveform Audio(*.wav) option and click it. Click OK to start the conversion. Also, in the Advanced Settings section, one can adjust sample rate, bit rate, channel, etc. 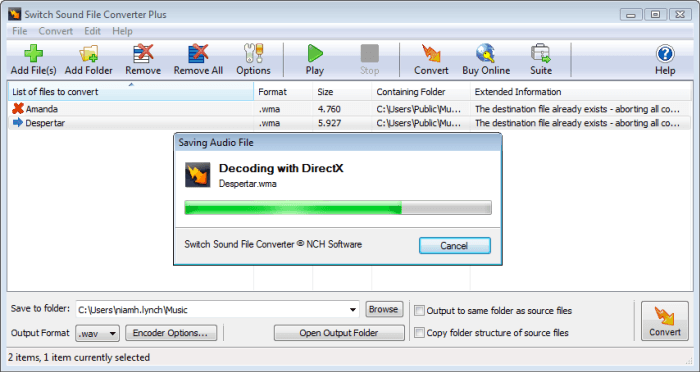 Windows users can use Switch Audio File Converter Software which is quite compact in size. The unlicensed version is only allowed for non-commercial home use. Below are its features. 1. Download and install the software on your PC. 2. Find the Add File(s) button on the toolbar and click it to import on or multiple FLAC files. Drag-and-drop operation is also supported. 3. In the lower left corner of the interface, there is a Output Format dropdown list where you select WAV. 4. 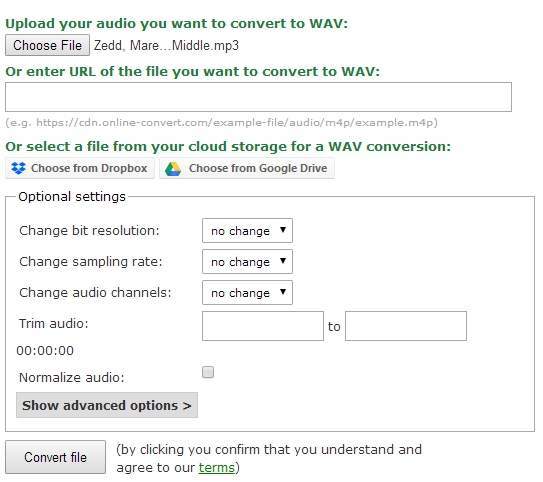 Click the Convert button, and the software will immediately start converting FLAC to WAV. There are also options allowing you to save the output file to the same folder as source file or to copy folder structure of source files. You can choose either, both, or none according to your need. 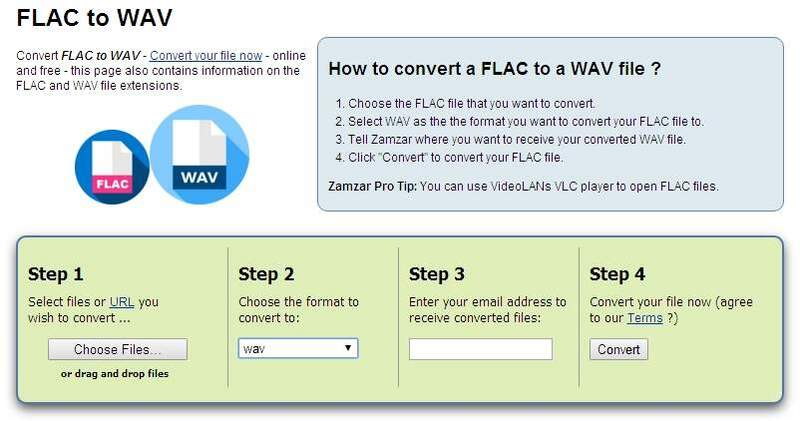 To convert WAV to FLAC, you can follow the same steps. Another FLAC to WAV converter recommended for Windows users is Audacity. It is designed for audio editing, recording and mixing and has the following features. 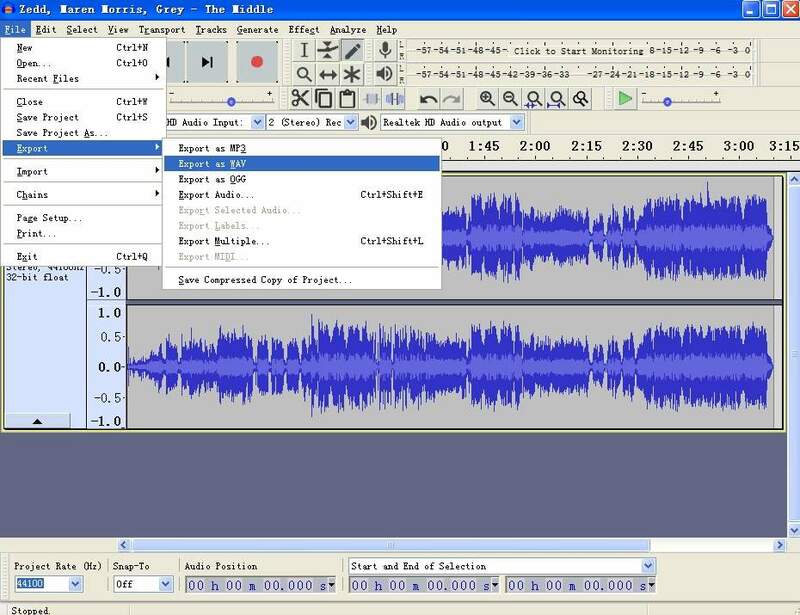 Edit audio files by cutting, copying and pasting, duplicating, etc. 1. To convert FLAC to WAV with Audacity, you first need to install the software on your computer. 2. You can add file by dragging and dropping or by clicking the File button on the toolbar. 3. Click the File button, select Export and click Export as WAV. Choose a fold where you want to save the output file and click save. It’s that easy. Despite being a media player, this software program does have a feature allowing users to convert audio as well as video files to different formats. 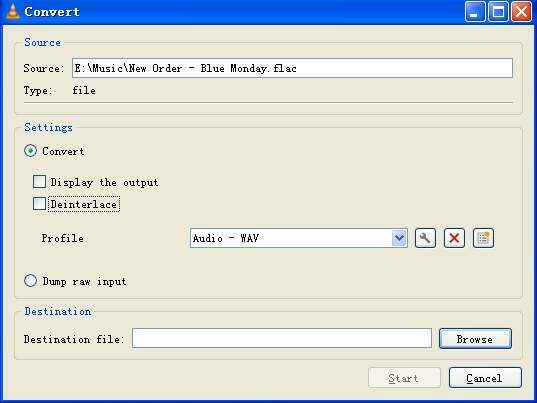 It only takes four easy steps to convert FLAC to WAV using VLC. 1. Install the software on your computer. 2. Click the first button, i.e. the Media button, on the toolbar and then click Convert / Save. The Open Media window will appear. 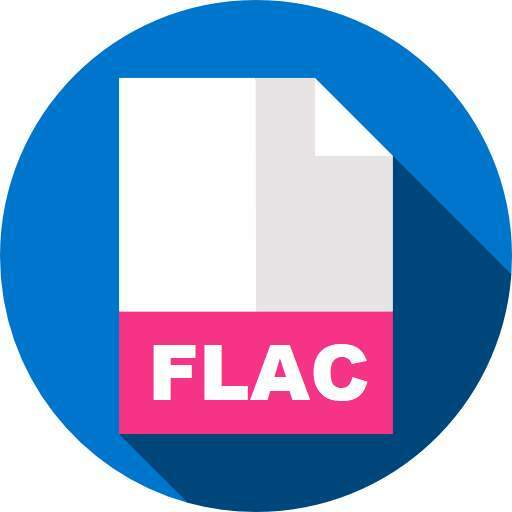 Drag and drop your FLAC file to the File Section. 3. There is a dropdown menu beside the Cancel button. Click it. Select Convert to open the convert window. 4. Click the Profile dropdown menu and select Audio-WAV. Choose a destination folder to save your file and click Start. The steps are the same if you use VLC to convert WAV to FLAC format. You can also use online tools to convert FLAC files to WAV. While online FLAC to WAV converters can’t batch convert multiple files nor can they provide fast conversion, with them you don’t have to download and install any software. Below are some of the best tools you can use. Zamzar is a well known name when it comes to online file conversion. It has a page dedicated to free converting FLAC to WAV format, but you still need to manually choose output format when you use it to convert. 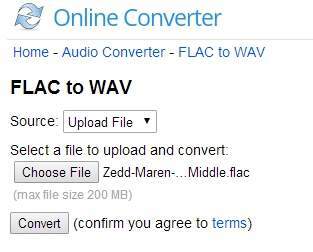 You can also convert WAV to FLAC on the same page. In addition to dealing with audio files, this tool also support documents, images, etc. Note: The upload limit thing is common with online converters. If you convert FLAC to WAV free with Zamzar, the limit is 50 MB, but you can register on Zamzar and become a paying user to deal with bigger files. There are three plans available - Basic, Pro and Business. Just like Zamzar, this site also has a dedicated page to convert audio files to WAV. It also has a file size limit for free conversions. To convert bigger files, you need to sign up and pay for the premium service. Optional settings allowing users to trim audio, change sampling rate, etc. This is an easy-to-use online conversion site with very simple design. It can convert audios, videos, images and documents to different formats. To use it to convert FLAC to WAV, just go to https://www.onlineconverter.com/flac-to-wav, click the Choose File button to upload your file and click Convert. It’s super easy. Waveform Audio File Format, aka WAV, is an audio file format used to store sound. It has very high fidelity, which means it can deliver very high quality sound. 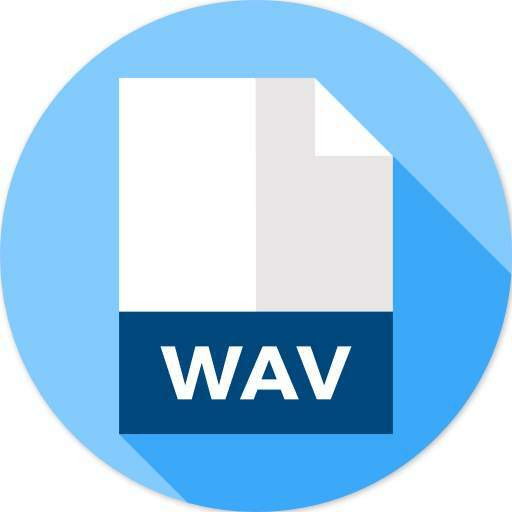 WAV can be used to store uncompressed audio data too, which can result in large sized files. It is a Windows standard file for audios and also compatible with other OSs such as Mac and Linux. Both FLAC and WAV can deliver high quality sound because both formats are lossless, but WAV is supported by more media players and devices. When it comes to converting FLAC to a more popular format, WAV is always a good choice and thus sound quality losses can be avoided. You can convert FLAC to WAV using the aforementioned methods. The methods and tools recommended above can help you easily convert FLAC to WAV or to other formats. Professional software apps like iFunia Video Converter are recommended due to high quality conversion, high speed, helpful features such as batch conversion and no limit in file size. Do you often need to convert audio files between different formats? Do you find this guide to converting FLAC files to WAV useful? Welcome to share your thoughts and opinions on this article. A list of the best YouTube to WAV converter software for Mac and Windows to convert YouTube to WAV file. A list of the top 5 free MP3 to MIDI converter software and online tools that provide high quality conversion. This is a detailed guide on how to convert M4B to MP3 using converter software, free online tools and iTunes. This is a list of the top five software and online services to free convert MPG to MP4 format.